With the summer in full swing, it has certainly has been a busy time for the Band. 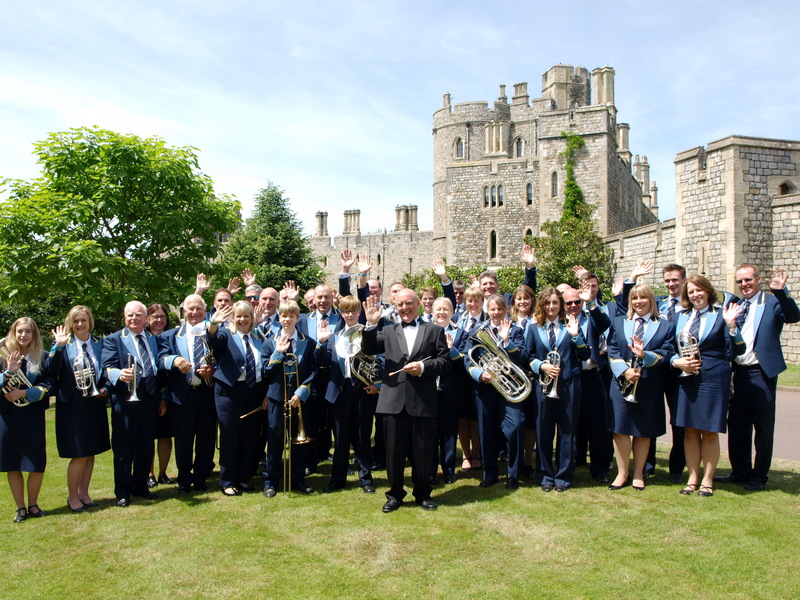 We recently returned from a mini tour which saw us play some memorable concerts, including Windsor Castle! So, how do you take a forty-piece Band, and its back-up team, on tour? Once we had been invited to play at Windsor the behind-the-scenes-planning started. Accommodation was the first hurdle. We needed a hotel with enough rooms for the band, including storage for the instruments. Rooms had to be quickly secured, and “rooming” arrangements agreed – a task in itself! The tour bus took the band and all its instruments to the hotel on the Friday evening, with the concerts taking place on the Saturday and Sunday. 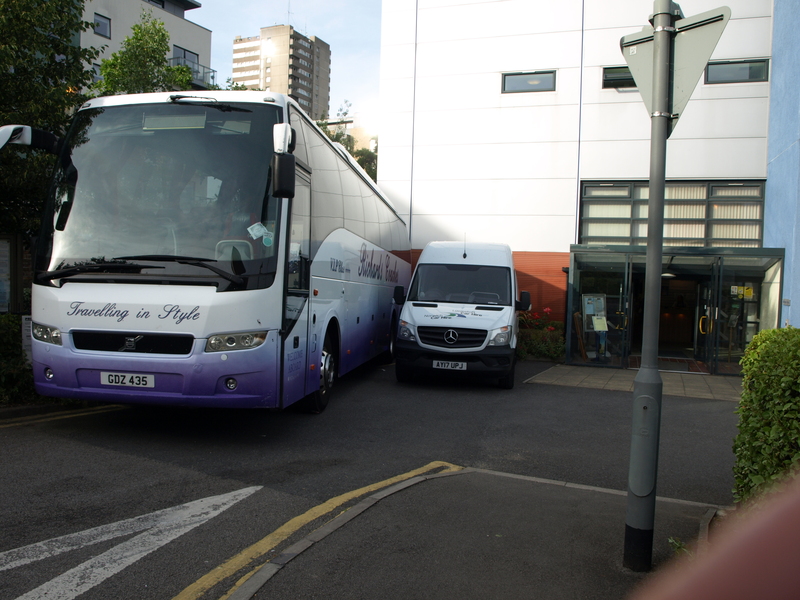 All the instruments were then taken off the bus and into a secure area within the hotel. Once done it was time to check into the rooms and then meet in the Bar! We were up early for breakfast, after which we loaded the bus to ensure we were ready for the evening concert taking place at the Kew Musical Museum. 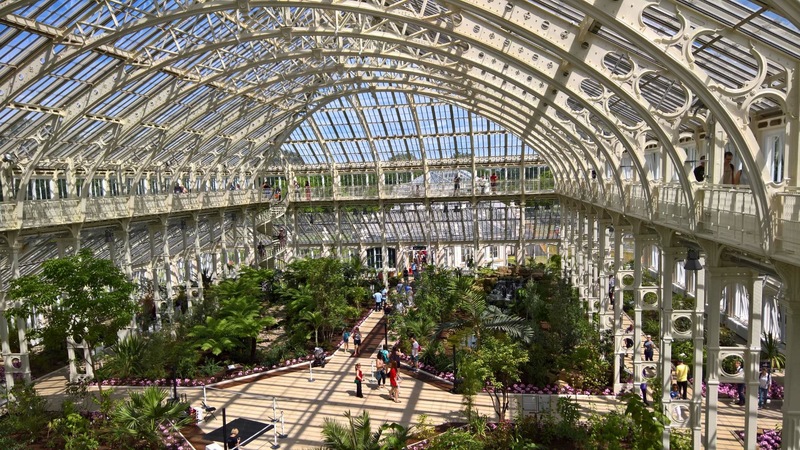 During the day we had some free time to visit the amazing Kew Gardens and the museum itself.. The next day the bus was again loaded ready for the afternoon concerts at Windsor Castle. We cant really emphasise what a huge honour it was to be asked to play in the Bandstand within the grounds of the castle. The crowds loved the performances and it was an emotional experience for everyone. After the shows it was time to head home to Norwich for a well-earned rest! Catch our remaining summer shows as listed here. We look forward to seeing you – and a special thanks to those who travelled to Windsor to watch the shows.